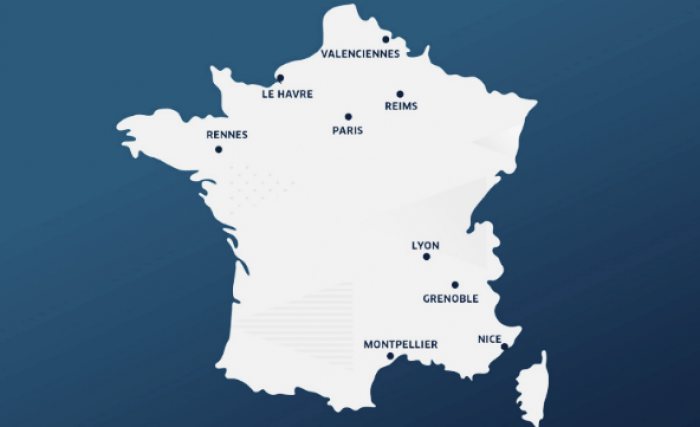 The 2019 Women’s World Cup with take place in nine host venues, in nine of France’s most popular cities. France will no doubt make an incredible host country. First of all, the host cities are incredible destinations in their own right. Add in the atmosphere of one of the biggest soccer tournaments in the sport and you can bet each city will be at its absolute best next summer. Each host city’s venue boasts its own unique experience. From historic venues with long, impressive resumes to modern state-of-the-art stadiums, each has something different to contribute to this prestigious event. 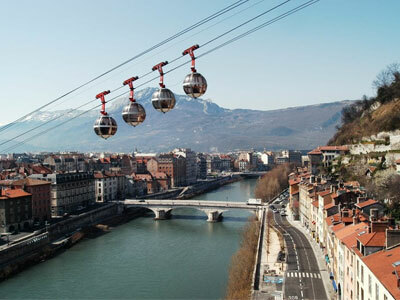 This gorgeous city in the Alps may be known for winter sports (it hosted the Winter Games in 1968) but it’s eager to show the world it’s a world class destination for summer sports too. It’s a small city, with a population of just over 600,000 in the metropolitan area, but it has plenty to offer visitors. The ancient Bastille Fortress is one of the highlights and nature lovers will love the hiking and biking possibilities. Grenoble’s central Stade des Alpes seats just over 20,068 and will make a scenic host for games at the Women’s World Cup in 2019. The stadium, which opened in 2008, is easily recognizable due to its unique transparent roof structure. 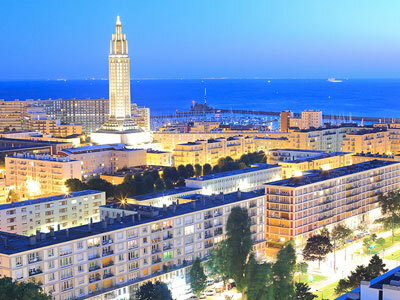 Located on the English Channel and the estuary of the River Seine, Le Havre is the second largest port in France. It’s also a lovely place to visit with beautiful green spaces and beaches as well as plenty of history and impressive architecture. Le Havre’s Stade Océane opened in 2012 and will be one of the newest stadiums at the 2019 Women’s World Cup. Boasting a capacity of 25,278 for the Women’s World Cup matches, the stadium is most impressive at night when its exterior is completely lit up in blue light. 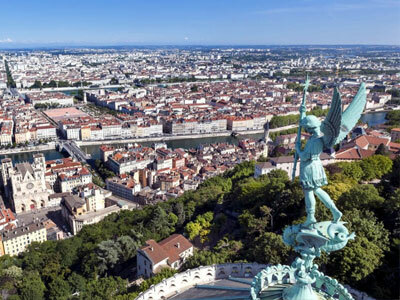 Foodies will love Lyon. In a country known for its food, Lyon is a standout. It’s also rich in culture, history, and architecture and has plenty to entertain visitors. You could spend weeks discovering its historic buildings, charming neighborhoods, and many museums. The city’s Stade de Lyon (aka Parc Olympique Lyonnais) is one of the largest in France and is no stranger to international soccer matches; it hosted six games during Euro 2016. It will host the semi-finals and epic final match at the 2019 Women’s World Cup. 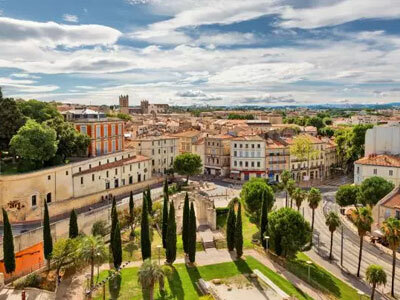 Located on the Mediterranean Sea, Montpellier enjoys some of the sunniest weather in the country. It’s a vibrant, growing city with plenty of charm, some great museums, and plenty of shops and cafés to explore. If you’re a beach person, you’ll want to check out the area’s many spectacular Mediterranean beaches. Montpellier’s Stade de la Mosson seats 27,310 and its long resume includes playing host to six World Cup matches in 1998. Though it opened back in 1972, the stadium was completely rebuilt prior to the 1998 World Cup. 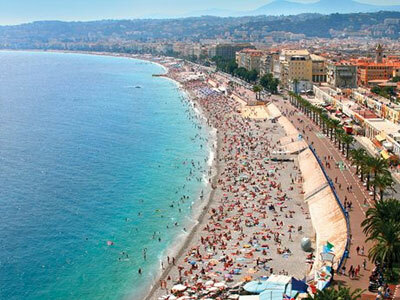 Nice, with its prime location on the Cote d’Azur, is one of France’s most popular destinations. Offering panoramic views of both the sea and the mountains, gorgeous beaches, world-class casinos, and plenty of culture and charm, Nice has something for everyone. Be sure to check out some of its fantastic restaurants and if you’re so inclined, it also boasts some of the best nightlife in the country. 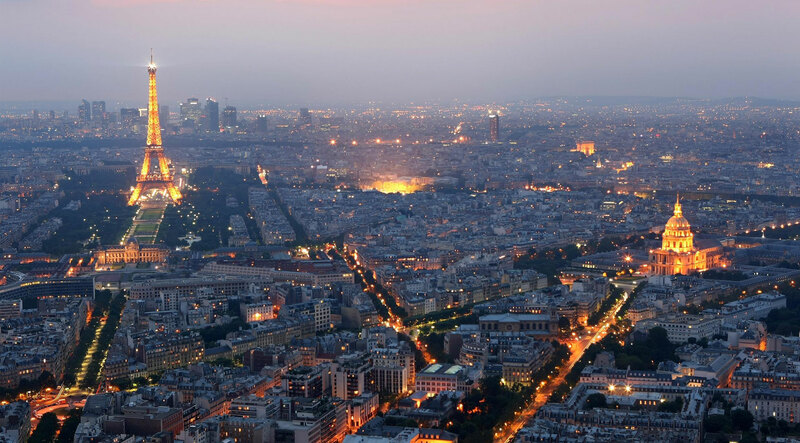 Needing little introduction, Paris will be one of the most in-demand destinations at the 2019 Women’s World Cup. The food, the fashion, the romance, the history, the culture…there are so many sides of the city to explore. 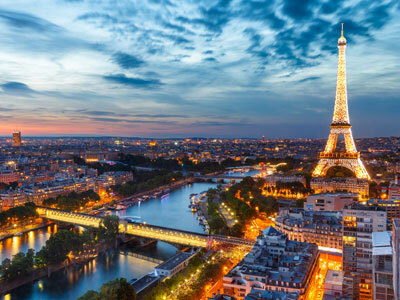 Summer in Paris is the perfect time to dine al fresco at a charming café, see the city on foot or cycle, and of course, catch a World Cup Match. The 2019 Women’s World Cup will kick off at Parc des Princes stadium which will host the tournament’s opening match. The 47,929-seat stadium recently underwent a €75 million renovation, making it better than ever for this event. 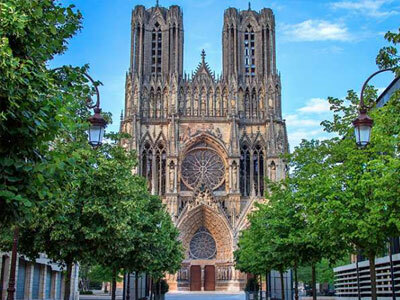 The small city of Reims is known for its history, its culture, and a certain bubbly beverage. Champagne originated nearby and still is a major contributor to the city’s economy. If wine and Champagne tours aren’t your thing, there are plenty of gorgeous Cathedrals and other historical buildings to explore. Stade Auguste-Delaune is one of the most historic in the tournament, it even hosted games at the 1938 World Cup. It has undergone a number of renovations since, and most recently underwent a significant refurbishment in 2008. 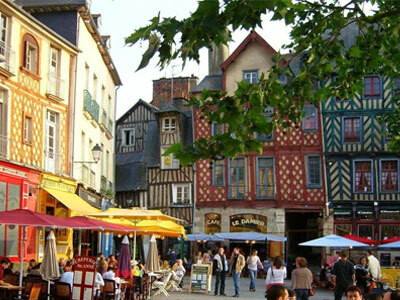 Located in the Brittany region, Rennes is a lively university town that was recently voted one of the most livable cities in the country. Though much of the city was destroyed by fire in 1720, it does boast some magnificent architecture. Explore the historic city centre or relax in one of the city’s lovely parks, including the popular Parc du Thabor. Another historic stadium, Roazhon Park, will host Rennes’ Women’s World Cup matches. With over 100 years of history, the stadium is one of the oldest in the tournament. It underwent a major refurbishment that was completed in 2004 and another minor one in 2015. 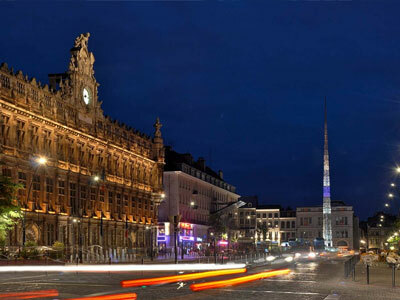 With a prime location near the Belgian border, Valenciennes is within a few hours of Brussels, Paris, Amsterdam, London, and Luxembourg. The city is known as the Athens of the North, a nod to its artistic influence. It’s also known for its gastronomy, and makes a great destination for foodies. Valenciennes’ Stade du Hainaut has a capacity of 25,172 and will be one of nine venues for the 2019 Women’s World Cup. The stadium opened in 2011 and is home to Valenciennes FC. Everything was great from start to finish. My clients were extremely happy with the trip!